India is a deeply alluring country that glides over mountains and through steamy streets, leaving a trail of soulful mystique, wild decadence and spicy aromatics. With over 1.3 billion residents, India is the second-most populous country in the world. Popular attractions include the Taj Mahal in Agra, Khajuraho Temples in Madhya Pradesh and Mehrangarh Fort in Jodhpur. Get ready to ignite your soul and arouse your senses with cheap flights to India. New Delhi is home to Indira Gandhi International Airport (DEL), which is 25-minute drive from the city centre. The airport serves a multitude of airlines, including Air India, Qatar Airways and Emirates. Popular international flights to New Delhi depart from Johannesburg and Cape Town. Flight duration from Johannesburg to New Delhi is approximately 12 hours and 55 minutes. Track Bengal tigers in Bandhavgarh National Park, meet the Apatani tribe in Ziro Valley, kayak through the Keralan backwaters, or watch a holy ceremony on the steps of Varanasi (the spiritual capital of India). 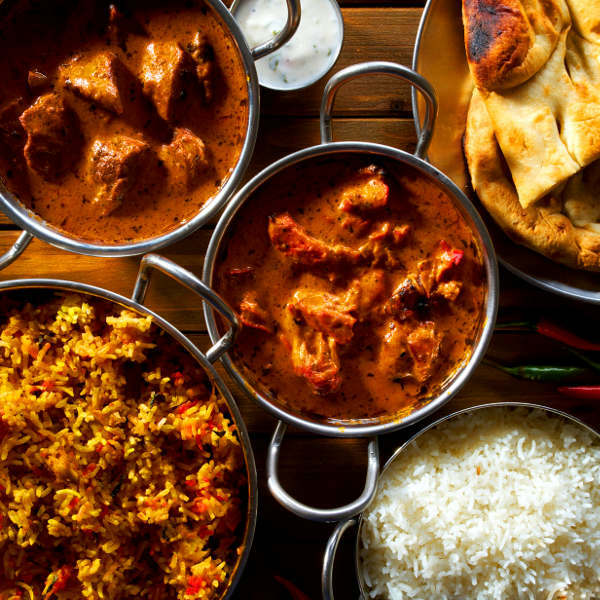 Buttery sweetness or spicy decadence, Indian cuisine is as diverse as it is delicious. Try authentic butter chicken in New Delhi, coconut fish curry in Kerala, and a kati roll on the bustling streets of Kolkata. 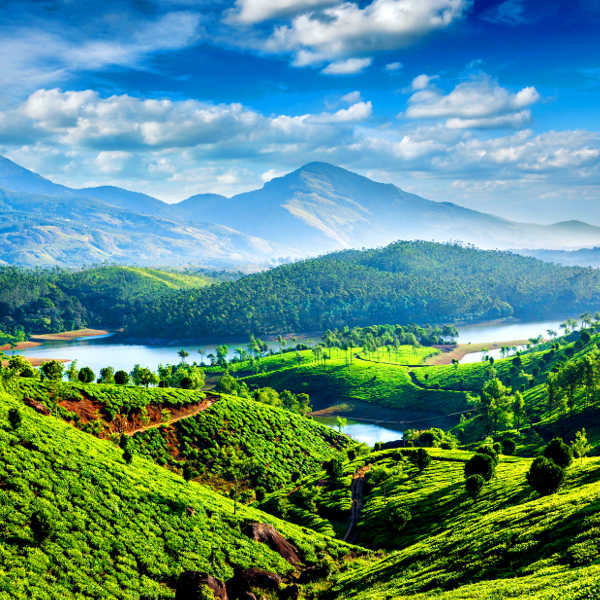 From the gold-dusted expanses of the Thar Desert, wild tropical beaches of Goa, and snow-tipped peaks of the Himalayan Mountain, India is a mesmerising patchwork of surreal and sublime landscapes. The climate of India varies according to region. The northern regions range from temperate and alpine, while the rest of the country experiences a hot tropical climate. Temperatures can reach as high as 48 degrees Celsius in summer and drop to -3 degrees Celsius in winter. The monsoon season begins its steady sweep across the country in May and begins to wane in October. The best time to visit India is during the dry season (November to March). These months offer deliciously warm temperatures and beautiful landscapes. This is peak season in India, so expect soaring rates and dense crowds. Peak trekking season in the Himalayas is during August and September. Notable events include: Diwali, Holi, Durga Puja and Ganesh Chaturthu. The dates of these festivals change according to the lunar cycle. For cheap flights to India, the best time to visit is from April to early-June and September. There is no place in the world quite like India. It is a country where you can lose your mind in the gritty mayhem of Mumbai and New Delhi, and then sink into the ethereal tranquility of Darjeeling and Kashmir. It is a country of remarkable contrasts and unimaginable soul. The best way to experience this feverish country is to follow its wild rhythm. Spend your time lost in the bustling energy of Bangalore, exploring ancient traditions in Jaipur and Agra, trekking through the rugged mountains of Ladakh, lazing on the beaches of Goa, or embarking on a culinary adventure through the streets of Mumbai. 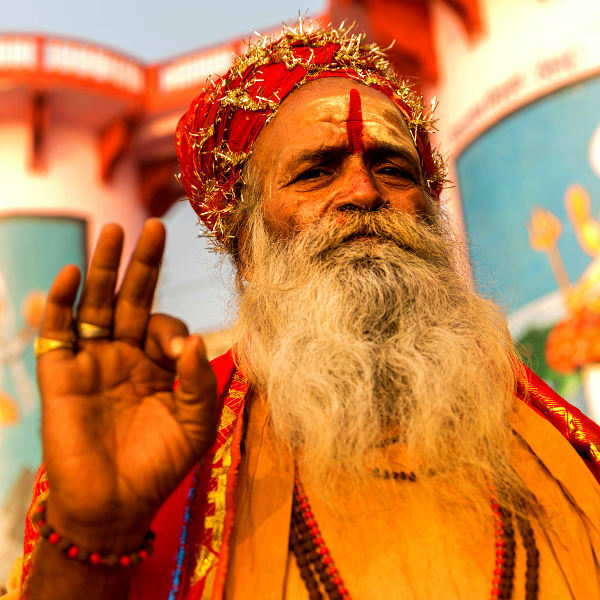 Be sure to explore the many temples and visit the spiritual capital of India: Varanasi. A journey to the Malabar Coast offers a unique opportunity to explore the emerald backwaters of Kerala by houseboat. India is not a country you see, it is a country you feel. And if you allow yourself to surrender to its beguiling allure, it will enchant your heart and change your life. Compare several airlines and book your cheap flights to India online at Travelstart! South African passport holders require a visa to visit India. You will need to ensure your passport has a validity of at least 6 months and 2 empty pages for entry stamps. Visas can be applied for on the e-Tourist visa website or through VFS Global. India is plagued by poverty, so crime does happen. It is recommended that you use common sense and remain vigilant as you would in any other unfamiliar country. Travel insurance to cover theft and medical expenses is recommended. Check the latest government travel advisory to find out which areas should be avoided. Avoid carrying large sums of cash and valuables, as pick-pocketing does happen. Avoid travelling alone at night and through isolated areas (especially women). It is recommended that you familiarise yourself with the local laws and customs before arriving. Food poisoning is a big problem in India. Avoid street food and stick to busy restaurants. Meat and shellfish should be avoided. Stick to bottled water. Malaria, dengue and other insect borne diseases are prevalent, so medication is required and the necessary precautions should be taken to avoid bites. Immunisation against yellow fever, hepatitis A & B, typhoid, TB, cholera, Japanese B Encephalitis and rabies is recommended. Other vaccinations include MMR, diphtheria-tetanus-pertussis, meningitis, varicella, polio and influenza. Check skin regularly for ticks and leeches when travelling through rural or rainforest areas.